The Maguire Farm dates back to the 1800's. There were a couple of additions added onto the house in the 1950's and 1960's. 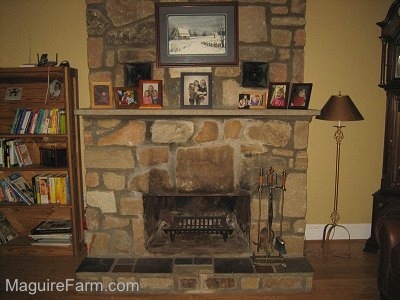 One thing that is very odd is the fireplace. 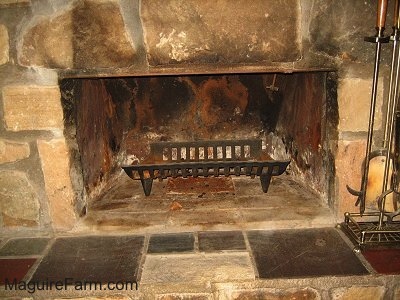 The size of the opening is very short and narrow compared to most other fireplaces. 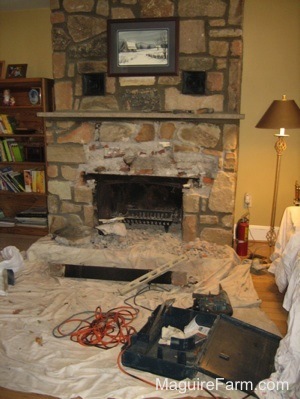 The flu of the fireplace is damaged, and needs to be replaced, however, due to the odd size, it cannot be repaired unless major mason work is done. Meaning the entire chimney would need to be rebuilt. 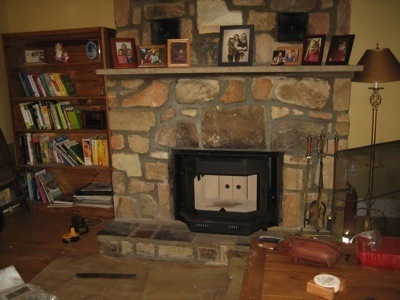 Therefore we decided to get a wood burning stove insert. 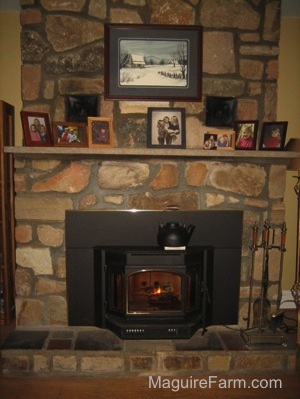 Since the size of the opening is very narrow and low to the ground, 19 x 34 inches and gets narrower towards the back, we were unable to find a wood burning stove insert small enough to fit the opening. The plan is to get a mason out here to cut the opening wider. 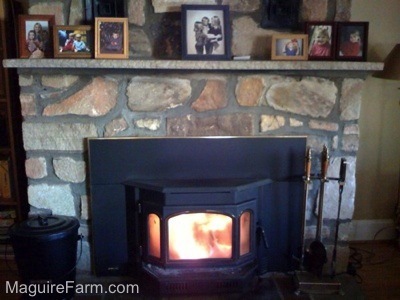 Wide enough to insert a wood burning stove. 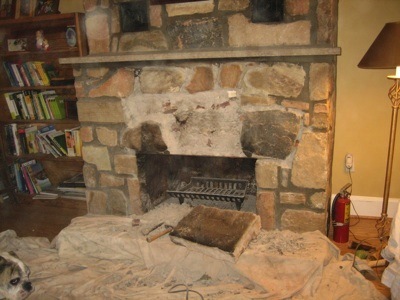 Wood burning stove insert going in. They had to cut into the stone to make the opening larger in order for the stove to fit.